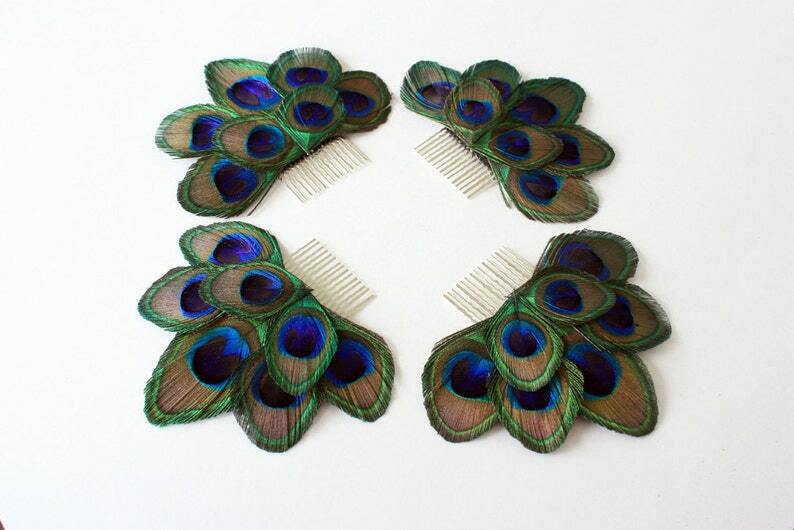 Neatly trimmed peacock eyes arranged in a fan-like shape. Attached to a metal hair comb. Perfect hair accessory for bridemaids! Each comb comes in a little box perfect for gift giving, storage and safekeeping.